THE traffic tangles caused by major football games has become a problem of great importance to those cities that have the larger stadiums within their bounds. For hours before and after the games the police are compelled to work at top speed to restore the normal movement of traffic, being called upon at times to handle some fifty thousand additional cars. At the various traffic conventions held about the country this problem has received much attention but it was only recently that a plausible solution to the matter was offered. Police departments have realized right along that these great traffic loads, reaching peaks that were as high as thirty thousand cars above normal, made co-ordination practically impossible with existing methods. What was needed was a traffic dictator sitting in some exalted position and lord of all that he surveyed. The captive balloon system, it was found, would provide these accommodations, giving a single man the opportunity of seeing the traffic jam as a whole and providing him at the same time with the necessary signal apparatus to direct the movement of vehicles on every street in the congested district. In this way, motorists, even though well-meaning, would not be working to the disadvantage of each other, nor would they be defeating the very thing that they were trying to accomplish. 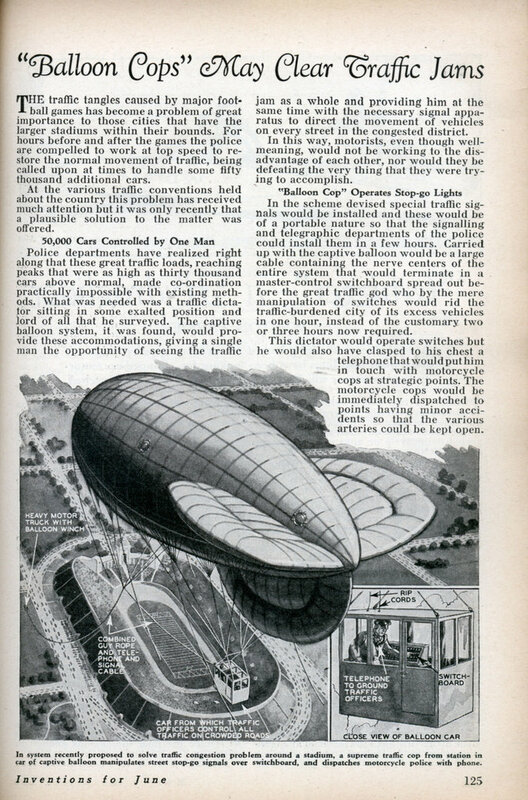 In the scheme devised special traffic signals would be installed and these would be of a portable nature so that the signalling and telegraphic departments of the police could install them in a few hours. 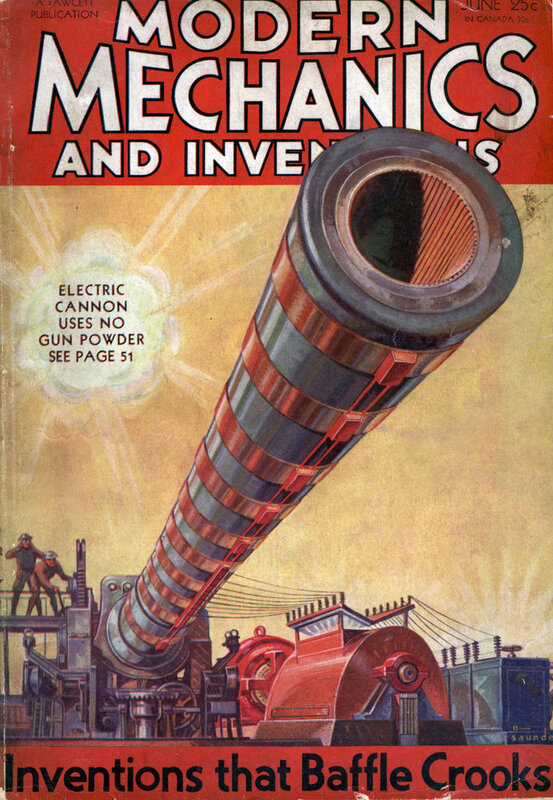 Carried up with the captive balloon would be a large cable containing the nerve centers of the entire system that would terminate in a master-control switchboard spread out before the great traffic god who by the mere manipulation of switches “would rid the traffic-burdened city of its excess vehicles in one hour, instead of the customary two or three hours now required. This dictator would operate switches but he would also have clasped to his chest a telephone that would put him in touch with motorcycle cops at strategic points. The motorcycle cops would be immediately dispatched to points having minor accidents so that the various arteries could be kept open. With all this talk of the “dictator” of the air I’m surprised some pulp scientification writer didn’t write a story about a future society plagued by traffic jams in which the Balloon Cop is a dictator who must be obeyed at all cost unless you want to be stuck on the highway for years.